In science, it is common for researchers exploring answers on one matter to stumble upon discoveries on an entirely unrelated subject. During one experiment, a pigment was injected into a single cell amoeba. While scientists observed the color changes of the amoeba, they discovered the amoeba’s lifespan was double from what was normal. The miraculous findings revealed the responsible pigment was resveratrol. Resveratrol was first identified in 1940 in the roots of the Japanese kojokon plant. Even further back in history, resveratrol was used as a primary ingredient in an herbal Ayurvedic tonic intended for boosting heart health, called drakshasava. Resveratrol is produced in plants undergoing stress. It is their defense mechanism against pathogenic microorganisms. The most common plants from which resveratrol is derived is the skin of red grapes, black currant berries, blueberries and plums. It is a powerful antioxidant with overwhelming wellness promoting traits. The molecular structure of resveratrol has many similarities to the chemical formula of tyrosine. Although they have different molecular weights, their sizes are practically the same. Resveratrol, a polyphenolic phytoalexin, has a phenolic ring much like in tyrosine, hence proving to be one of the major validations on why resveratrol is so effective. Tyrosine is a naturally occurring amino acid in the body and is vital to human existence. It is critical in synthesizing structural proteins, and most importantly, tyrosine is responsible for sustaining an efficient nervous system by enabling the production of neurotransmitters. Some scientists have stated that tyrosine directly influences brain function as well as triggers pigment creation in the body, which maintains skin health and tone. It is also central to generating and regulating several hormones in the body. In a nutshell, tyrosine is indispensable, but high levels of stress along with the natural aging process deplete tyrosine. Thankfully, resveratrol mimics the behavior of tyrosine, allowing it to be a natural optimal alternative. Among many of the genes that exist in the human body, one of them is the longevity gene called sirtuin. These enzyme genes are normally activated through the process of fasting or reducing calorie intake. Miraculously, resveratrol also triggers sirtuins to respond. As a result, cells begin to use excess fats stored in the body, generating more energy and facilitating weight loss. Overall, this process offsets hyperlipidemia related illnesses including fatty liver disease. The French population is known for their high-cholesterol fatty foods diet and wine consumption. Paradoxically, they are one of the healthiest, having the lowest incidences of cardiovascular disease in comparison to other cultures of the world. The “French Paradox” phenomenon is one that revealed itself over time and is a positive indicator of the tremendous accumulating benefits of resveratrol. It improves heart health and lowers the risk of cardiovascular disease by facilitating blood vessels to ease and causing platelets to have a lower viscosity. This dramatically downgrades any possible tissue damage in the case of a stroke or heart attack. Resveratrol works to resist and prevent stroke and many other conditions including but not limited to those related to brain and cellular health, as well as aging. It truly offers a therapeutic natural lifestyle alternative. This herbal option eliminates the risk of the severe side effects, like heart complications or stomach ulcers that can occur with conventional pharmaceutical medicine. Resveratrol studies have revealed substantial anti-inflammatory action, which is especially beneficial in wound healing as well as reducing arthritis symptoms. Resveratrol inhibits the cyclooxygenase enzymes (COX-1 and COX-2), which are instigators of inflammation in the body. In addition, heat-shock proteins (HSPs), genes that respond to heat, typically increase when the body is under stress. Resveratrol offsets HSPs activation, hence further supporting the body’s anti-inflammatory response, which also presents a role in the battle against diabetes. According to evaluations conducted at the Illinois Institute of Technology Research, Division of Carcinogenesis and Chemoprevention, resveratrol demonstrated its extraordinary ability to inhibit growth of human cancer cells. The powerful antioxidant properties of resveratrol effectively allows it to absorb and neutralize free radicals. This stops further destruction to the cells and offsets further damage. The natural anti-carcinogenic action of resveratrol has tested against skin, breast, colon and prostate cancer to mention a few and in all cases it has shown to counter the impact of cell degradation. There is much hope that lies in the prospect of resveratrol impeding, or at least decreasing, the risk of cancer. The extent to which resveratrol has the capacity to influence or cure health related conditions is an ongoing process of laboratory testing and examination. Even so, evidence suggests that resveratrol is a valuable asset in treating neurodegenerative disorders, specifically Alzheimer’s disease. The most obvious symptoms of individuals suffering from Alzheimer’s is confusion and loss of memory and that is because they are suffering from plaques that form in the brain. These plaques disrupt normal brain function. Experimental findings show that resveratrol can prevent and even effectively remove Alzheimer-like plaques further highlighting the medical importance. Resveratrol has been tested on many species including fish, insects and even mammals, and all the clinical studies prove that it increases life span. In order to attain the maximum anti-aging benefits for the skin, using products that contain resveratrol is optimal. Resveratrol boosts cell proliferation, how quickly new cells can regenerate. It provides nourishing phyto-nutrients for the skin and facilitates how well the body can absorb vitamin C. Resveratrol not only enhances skin vitality and appearance, but it also boosts cell immunity. The skin and body is better equipped at protecting itself against external assaults, including environment related factors. 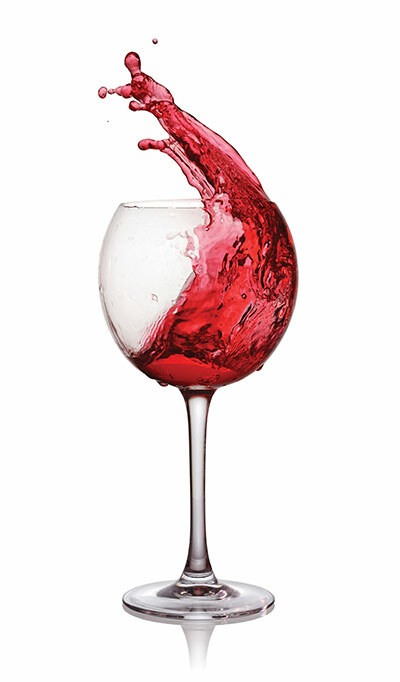 Ultimately, resveratrol delays aging and works to maintain younger looking skin. Drinking a glass of red wine daily is one way to indulge and gain the advantages of resveratrol, which most certainly many people do enjoy. Offering a glass of red wine, grape juice or black currant juice is typically an appreciated touch to conclude a resveratrol featured spa experience. Resveratrol is also available in its greatest concentrations as a liquid supplement. 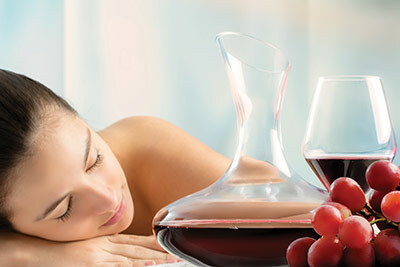 Consuming a shot of resveratrol a day is most definitely an alternative to drinking wine or juice, and actually will offer a pure undiluted form; it is another option that can be incorporated into a spa offering. Topical resveratrol is a powerful solution to promote wellness from the outside in. Skin care professionals offering spa treatments rich with resveratrol not only improve the appearance of their client’s skin, but they are actually encouraging cell health and longevity. Skin care products formulated with an advanced delivery system that contain potent concentrations of resveratrol effectively penetrate and absorb into the skin and body to make a difference. Such products are the key to a successful resveratrol-rich spa services and critical for homecare maintenance. Efficacy and consistency are fundamental to long-term age defying results. As of yet, science proves resveratrol to be a promising remedy to extend vitality and quality of life, but respectfully, it is still proof only on a relatively short-term basis. Time will continue to reveal the true long-term benefits and the longevity enhancing potential of resveratrol. For the beauty industry, there are not many products containing resveratrol saturating the market, and it most certainly is an ingredient of the future. Resveratrol is the real deal and is a modern day uncovered secret to prolonging life, and the best part is that it is accessible for everyone. M Ndiaye, C Philippe, H Mukhtar and N Ahmada, The Grape Antioxidant Resveratrol for Skin Disorders: Promise, Prospects, and Challenges, Archives of Biochemistry and Biophysics 508(2) 164–170 (2011). 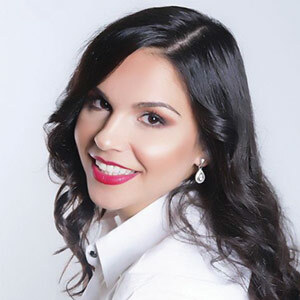 Victoria Tabak is a licensed esthetician and president of Nature Pure Labs. She has more than 18 years of experience along with a master’s degree in business, minoring in chemistry. For over a decade, she has taught classes on emerging breakthroughs in the anti-aging skin care industry.